4వ రోజు కృష్ణాలో జెర్సీ , కాంచన 3 కలెక్షన్స్ ! Legendary actor Kamal Haasan, who is busy with multiple films in his kitty , is all set to act in an Ad film soon. The interesting aspect is that the talented actor will give away his remuneration for a cause, to support HIV affected kids. Kamal will endorse the famous Chennai based Pothys Textile Showrooms in the coming months and will help raise money for the deprived kids. 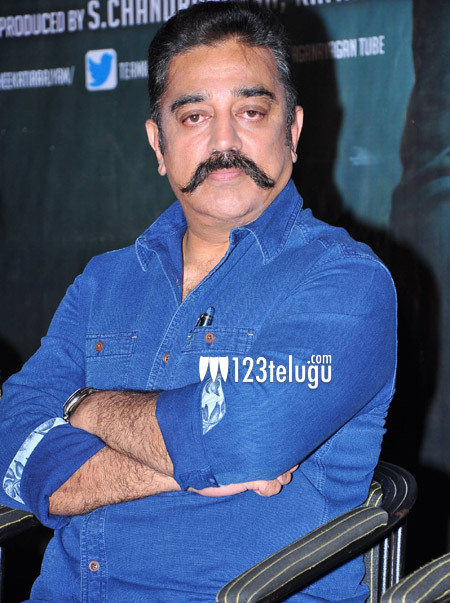 Meanwhile, Kamal is busy promoting his latest film Cheekati Rajyam which is up for a November release.